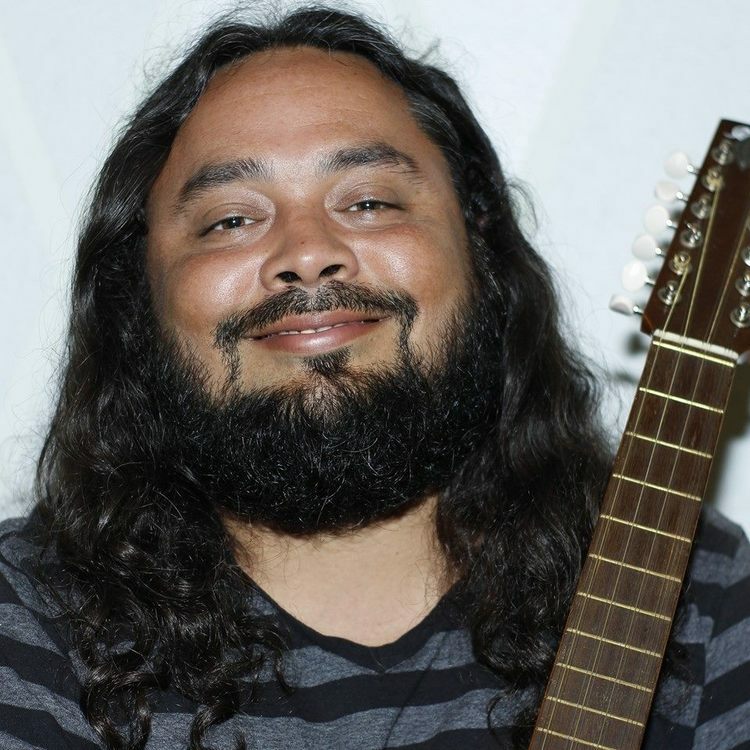 KIKO VILLAMIZAR was born in Miami to Colombian parents where he learned Latin American folk music through the oral tradition of his family. He moved to Miami to study jazz after high school, then travelled the Americas collecting melodies and beats that he has formed into his own unique mix. His culture, agriculture, and life stories are put into his songs as he celebrates life. 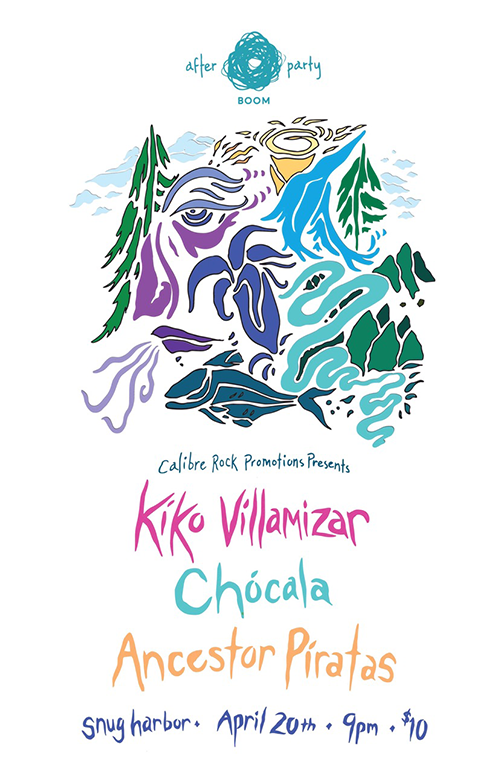 CHÓCALA is a Latin fusion band comprised of Davey Blackburn, Claudio Ortiz, Liza Ortiz, and Michael Anderson, former member of Snagglepuss, who have come together on a new project known as Chócala. Our varying backgrounds, and love for Latin beats has inspired us to create music that honors our roots, but puts a twist on traditional sounds. 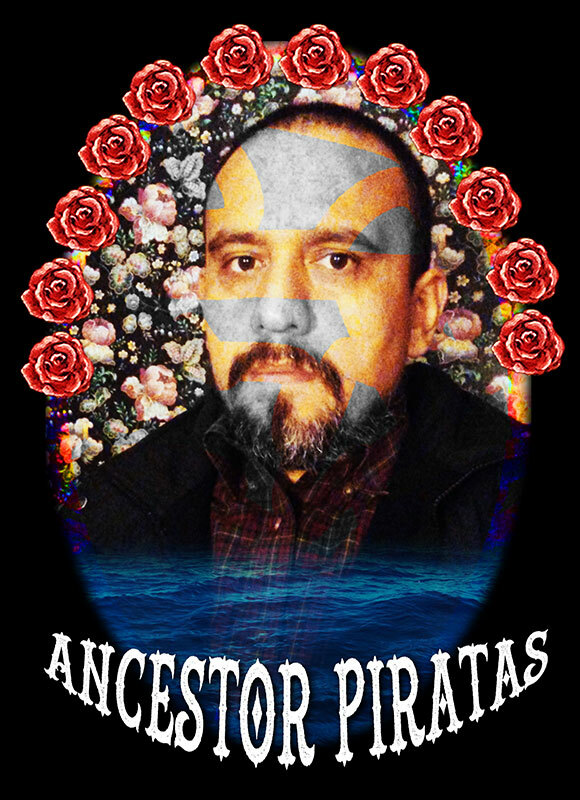 ANCESTOR PIRATAS is the solo project of Peruvian musician and visual artist Renzo Ortega, who has been performing for over 15 years, as a solo act and with his New York bands R-Tronika and Dias Azules, playing both political and love songs in different venues including museums and DIY art spaces in New York, Texas, Chicago, Lima, Berlin, Germany and México City.